A Moose member is a man belonging to the Loyal Order of Moose, or a woman belonging to the Women of the Moose. These members, over 1.6 million strong, make up the two components of the fraternal organization known as Moose International. Their membership is held in any one of 2,100 Lodges and 1,600 Chapters throughout the United States, Canada, Great Britain and Bermuda. Moose International headquarters is approximately 38 miles west of Chicago at Mooseheart, Illinois. Men and women join the Order for a variety of reasons, including Family Activities, Community Service projects and member sports programs, just to name a few. 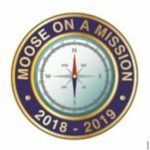 While these activities offer each Moose member a valid reason to join, the main endeavors of the fraternity remain Mooseheart, the 1,200 – acre Illinois home and school for children in need, and Moosehaven, the 63-acre Florida retirement community for senior members in need. These residents, entrusted to the care and support provided by membership in the Moose, are constant living reminders of the humanitarian efforts of Moose members. Who Are We? 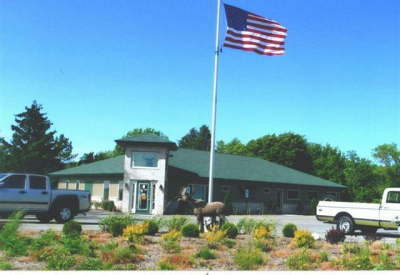 in the early 1990’s, the Moose organization decided to rethink the entire idea of what a fraternal facility and its programs need to be about in the 21st Century-de-emphasizing our Social Quarters, and placing greater emphasis on programs designed to appeal to every segment of our members’ families in facilities called Family Centers. These members – responsible men and women and their children, make the Moose program strong and active in communities all across North America. While our focus is changing to better serve the family at the Lodge, the commitment to the Moose fraternity’s missions remain as strong as ever. Lodges and Chapters across the fraternity contribute to Moose-sponsored programs such as Mooseheart and Moosehaven, and also to people in their own communities through Community Service initiated by members of the Lodge.